This would make a lovely companion piece to the Petal Fairy. 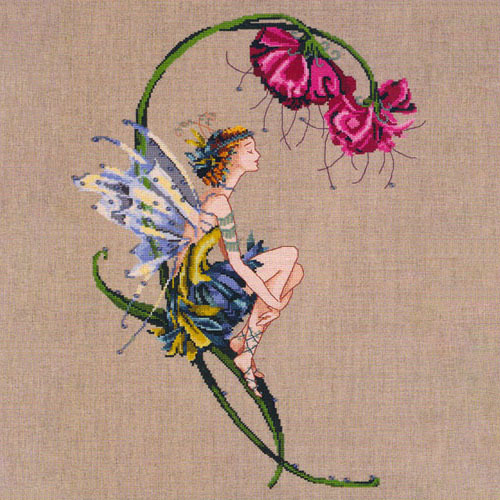 This is a complete a kit for this beautiful design by well-known designer, Nora Corbett. It contains all you need to stitch this elegant and beautiful design. Design size: 12 1/4" x 16 1/2" with a stitch count of 197 x 261 stitched over two threads. Kit also available without fabric (£37.00), without DMC threads (£35.50), without chart (£40.00) or without both fabric and chart (£27.00).